I love to-do lists. I make them all the time. Sometimes they're in my head for what I need to do in the next ten minutes. Most days I write a to-do list in a notebook that I have just for that purpose. I also make long-term to-do lists like "What I Want to Accomplish on the Winter Break" or "Summer Goals". I just find that to-do lists keep me on track for what needs to be done and with eight children there is always something that needs to be done. 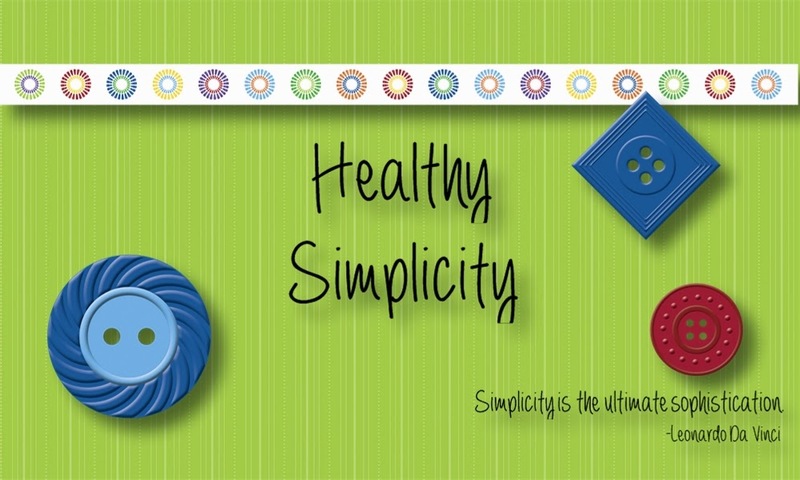 I was very excited to find this free resource for 2014. 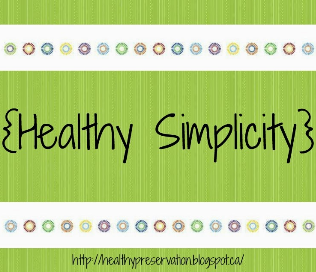 A wonderful blogger - The Confident Mom - has organized every day and every week of the year and put it all in a pretty format. She's made two versions: one with text already filled in for what you should do and one blank that you can fill in for yourself. There is also a supplement with several extra forms that you can purchase for $6. I am thinking about getting this because the forms look so useful. Yes, I could figure these things out for myself, but why waste time when someone else has done such a beautiful job? I love the idea of the text version. Somedays I'm so busy I really don't mind someone telling me what to do. I've started using mine and am enjoying it. There's even space to make sure you are drinking water, exercising, spending a little time for yourself - all things that a busy mom can forget unless she's reminded. So check this out. I'm sure it can help you - The Confident Mom 2014 Planner. I'm still enjoying my Kindle. I truly did not think I would like reading books electronically, but I do. I still like my paper books, but I probably use my Kindle more. It is just so easy and convenient, and I can read in bed with the lights out...not that I often am awake long enough to do that. Anyway, I read a really great book this week that is only available on Kindle. 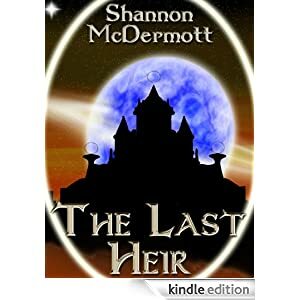 The Last Heir by Shannon McDermott. It's a mix of sci-fi and political thriller. 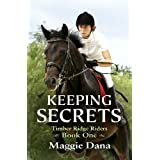 The author is young, but she manages to pull all of this together, and I really enjoyed the book. The start was a tad slow, but it didn't take long for me to be hooked. The emperor is dead and the last heir is a child, unable to exercise the power of his throne. Left without a ruler, the Empire's most powerful men struggle for control. Their long fight will spread from the halls of government to all the Empire, and its arena will be their own hearts and families. As the Empire divides against itself, everyone must choose who and what to be loyal to. Lines will grow hard and choices become clear, and the truth of who they are and what they fight for will be revealed." I'll just say it again - this book is worth the read. 15-year-old daughter - Ellen by Heidi Peterson. This is a book she's reviewing for someone. 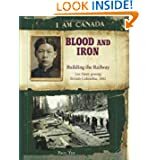 11-year-old son - I Am Canada: Blood and Iron: Building the Railway, Lee Heen-gwong, British Columbia, 1882 by Paul Yee. My oldest son was given this book as a library prize a couple of summers ago. Since then the two oldest boys have almost memorized it they've read it so much. 8-year-old daughter - The Prince and the Pauper by Mark Twain (Children's Illustrated Classics). 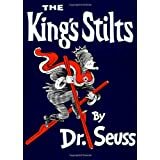 2-year-old son - The King's Stilts by Dr. Seuss. This is one of my favourite Dr. Seuss books. The king works very hard and how does he like to relax? With stilts. Until someone steals them. The king can't work because he misses his beloved stilts. The kingdom will soon be destroyed. Where are the stilts? So what books have you been enjoying this week? I'm really excited about what I'm making for my youngest daughter. She loves her baby dolls and generally takes one with her when we go out. I've made her a doll-sized mai tei carrier. I love mine so I made a simplified version for my daughter without all the complicated ties. I'm also in the process of making a matching diaper bag. My son was hired for his first paper route. His first delivery is Tuesday and he's fairly stoked. It's exciting to watch your children grow up. I sometimes miss the baby he was but mostly I'm loving watching him develop into a great person. He had called the office about seven times so when this route became available they knew who wanted it. Diligence pays off. We've also been taking more time this month to do things together as a family. 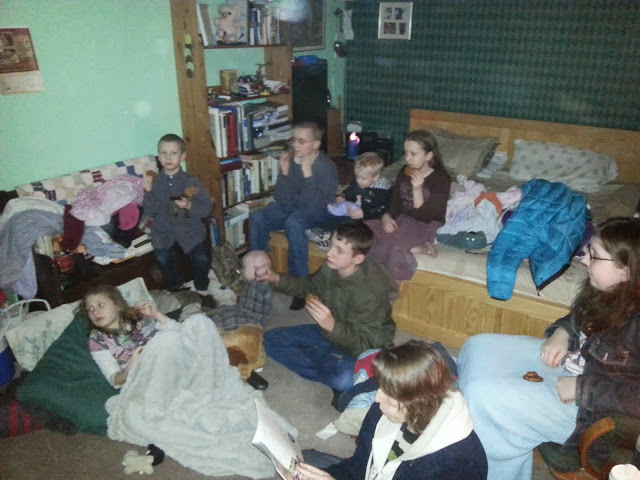 Tonight we watched about an hour of home videos. Most were only clips of half a minute or so. A few were longer. But they were all fun and we had some good laughs. One night we wrote a story where we each wrote a few sentences without knowing what anyone else had written. The result was predictably hilarious. It's funny how each person's personality came out in the few sentences that they wrote. This is such a busy time of year for everyone. 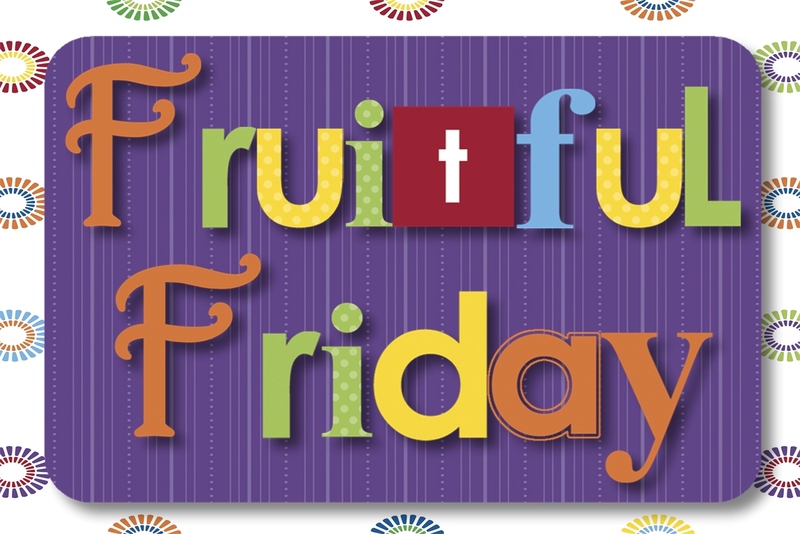 I hope everyone is having time to enjoy their family. Two vitamins today and the we are finished with the B vitamins - biotin and folic acid. Biotin is necessary for our bodies to be able to make use of fats and carbs and it is important in the formation of cells. 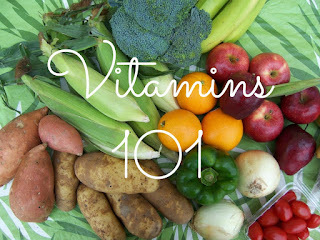 It also helps us to metabolize protein and use the other B vitamins. 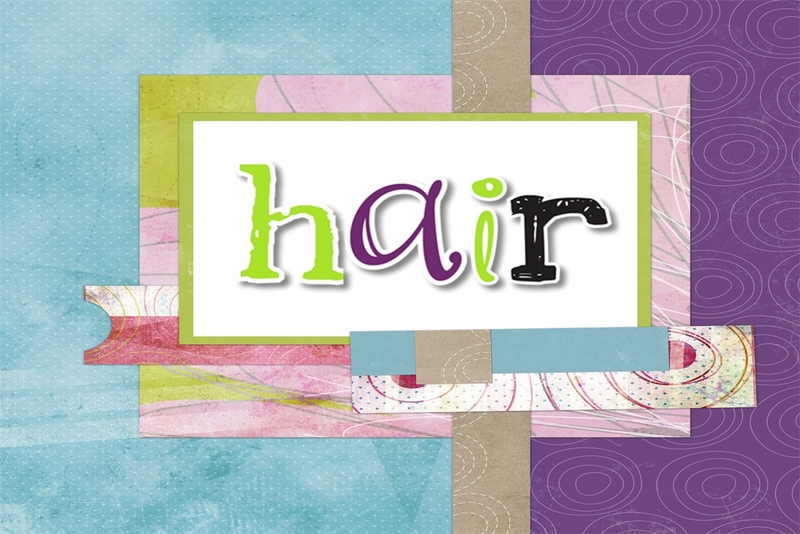 Our hair, nails and skin all need it in order to be healthy. Folic acid is used in cell reproduction. We also need it for our brain and nervous system to function properly. With B12 and C it allows our body to use protein. Our digestive system uses it to stimulate the appetite and stomach acid and to help the liver work properly. It's funny - you blithely read on the nutrition panels of food that it has so much of this or that vitamin but never really think about why you need this or that vitamin. This series has been a real eye opener for me. Swiss chard, carrots, nuts, milk, berries, halibut and cauliflower are all good food sources for biotin according to fitday. Healthaliciousness lists beans, lentils, spinach, asparagus, lettuce (romaine), avocado, broccoli, tropical fruits, oranges and whole wheat bread as good sources for folic acid. So if you had a lentil soup with salad and bread and a mango for dessert you'd also be filling up on folic acid in a delicious way. What menu would you make for getting enough biotin or folic acid? The information about biotin and folic acid comes from the Encyclopedia of Natural Healing, Alive Publishing Group, 1997. Today I stepped out of my comfort zone and tried something new. I went out on my own to remake a sweater into something I would use. I had a sweater I'd been given several years ago that I never liked. It was/is just too bulky and awkward feeling. A few weeks ago I decided that since I hadn't used it in years I should use it for something. I took the collar apart for a small project that ultimately failed. I was discouraged and felt like throwing the whole thing away, but just couldn't bring myself to do it. I love the cable stitch and the pattern on this sweater is so pretty. As well, it just seemed wrong to throw all of this away. So I thought I would cut off the arms to make some leg warmers for my baby. We like to hike - even in the winter - but I worry about the baby being warm enough since he's not exercising on my back. Snowsuits are a bit too bulky, but the idea of some leg warmers has been perking in my brain. It felt almost wrong to cut sweater up, but then I wasn't using it anyway so out came the scissors. I cut the arms off. Then I serged the cut edge to keep it from unravelling. and voila! A leg warmer. They're a bit long, but he'll have some growing room. I know I've been missing for a few days. We've been busy as a family as everyone else is at this time of year. Yesterday we had a visit from my mother-in-law and sister-in-law. I wanted us to make gifts for them. I only had about a week to get ready, and in true fashion I couldn't come up with any ideas until the day of. Well, I had started a scarf for my sister-in-law. It's one of those scarfs made with a specialty yarn. I didn't particularly enjoy knitting with this yarn and probably won't be in a hurry to do another scarf. It did turn out nicely though. My mother-in-law loves hedgehogs and for her birthday this year I found a pattern for a stuffed hedgehog. When I went to the fabric store I found some adorable flannel that was covered in hedgehogs. ☺ It was the end of the bolt so I bought what was left. I still have quite a bit left so I pondered for days how to use some more of this fabric for another gift. I finally decided on the kind of bulletin board where you cover the board with fabric and crisscross it with ribbon which hold your pictures/papers in place without having to use pushpins. I was so happy with how it turned out. If I had had more time I would have taken pictures and done a tutorial. Maybe I'll make another one for some else and do a tutorial. ~We wrote "We love you" on one side of a mug and they signed their names on the other. We did this for Father's Day, but the post I found is gone now. I just did it from memory, but my oldest daughter found this post with lots of tips for writing on ceramic with permanent marker. ~They covered two notebooks with scrapbook paper. You can find the instructions here. ~My nine-year-old daughter was discouraged because she wasn't able to do the notebooks so I went back to the drawing board (a.k.a. Pinterest) and found this idea for a corner bookmark. She and her younger sister loved this craft. It's simple and they caught on quickly. They plan to do this for more gifts soon. It's a great craft because now that they know how they can totally do it by themselves. So if you're still in need of some simple and fast gifts, I hope we have given you some ideas. Do you have any simple and fast ideas to share? It's been fairly quiet around here this week. Well, it was noisy yesterday morning because we had friends come over for breakfast (it's fun to switch up the meal you have company for), and they have five boys (ages 1-7). So, yes, it was a little on the noisy side for a while. The baby slept blissfully in the middle of all the chaos - the joys of being the 8th. By the way, we did a super easy menu. We made one dozen of four different kinds of muffins the day before. All we had to do when we woke up in the morning to get ready was set the table and cook the eggs (two dozen). No muffin made it to lunch. ☺ Muffins are a fairly easy food for budding cooks to learn to make. Other than that we've been working on gifts for each other. We don't celebrate Christmas, but we do exchange gifts at New Year's. As much as possible I try to get my children to make all of their gifts for each other. It can be a bit challenging, but I feel like the skills they learn make the effort worth it. I'm also trying to find times when the children are occupied to make my gifts for them. The good thing is that with the little ones I can still do their gifts in front of them. Even so I've only done two gifts so far so I need to get cracking. My husband loves having a macaroon with his coffee when he goes through the drive-thru. I was sure that I could make a reasonable copy and save him some money. I put a request out on Facebook on the "Trim Healthy Mama" group and had a prompt response with this recipe. My husband said it's not exactly the same, but he likes it. So now I can save my husband some money plus know that all the ingredients are good. The baby is getting very proficient in his walking. It's so cute to watch him swagger proudly across the floor and then fall smack on his bum. He's 27 pounds now so I really need him to walk. He's our biggest baby for sure but, oh so cute. Those cheeks are just so squishy and beg for kisses. How was your week? I'm sure you're busy. I hope you're having fun with your family and making wonderful memories. which I then did a pull-through in using the topsy tail tool. I made another ponytail gathering in the hair from the first one and pulled it through. I continued doing this step until I had gone all the way around her head. For playing you could totally leave it like that, or if you wanted to be a little fancier you could add something. We added some tiny clips that we like to scatter through our French braids when we want to fancy them up. You could also add a big bow or flower at the last elastic. So, is this something you could do for a faux French braid? A little bragging time here. My daughter has a blog - well, two actually. Her main blog - Ramblings of a Janeite - is all about period dramas, book/movie/music reviews, and some randomocity. Occasionally she does lists of things she is loving at the moment. I love these lists. They are beautiful, and I feel like I'm getting a glimpse into her heart. She did one of these lists today which inspired me to do one too. You can check out my daughter's lists here, here, here, and here. Her other blog is called "Scribblings of a Janeite" and is all about her writing which I might add she is very passionate about. My daughter had an ugly binder so I told her I would cover it for her. In the past I have done the kind of covers where it's glued right to the binder, but this time I wanted something she could move to another binder when hers wore out. To start with you need two pieces (one is the cover and one is the liner) of fabric cut one inch longer and one inch taller than the binder. You will also need two pieces for the pockets to put the binder ends in. I made these the same height as the pieces for the binder and about 5 inches wide. Then I hemmed one long side on each "pocket" piece and laid it on my lining fabric. I laid the cover fabric right-side down on this. Here I've pulled it back a little so you can see that I have right sides facing each other. I sewed all the way around leaving a two-inch opening for turning. Before turning I trimmed the corners so they would look neater when turned. I turned it and inserted the binder. I felt the front needed something more so I started to play around with fabric scraps. I cut out these apple and apple blossom pieces and covered them in modge podge so they wouldn't fray. Then I cut an "E" from fleece (it doesn't fray) and hot glued all the decorations to the front. Have you ever covered a binder?